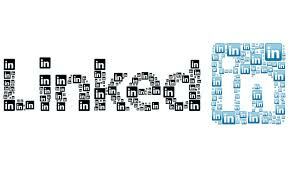 LinkedIn is a networking site that is increasingly being used by business people to connect for professional networking. It improves your search engine ranking and has applications which add even more information about you and your firm. Create a personal profile and keep it updated. To create a profile, set up an account. Follow the prompts to lead you through the process of adding to the profile. It is easy to follow the step by step instructions. You can always edit something if you need to change a typo. 2. What should I keep in mind as I set up my profile? Use a professional picture. The blue box under your name is the place to put the keywords someone might use to search for you. Think in terms of your audience and what terms they might use. Check out your ideas with Google AdWords. Go to https://adwords.google.com/select/KeywordToolExternal. Fill in the term you think people would use, and view the other choices that might be used. 3. What can I add to my profile to enhance my credibility? Do you have publications, honors, awards, certifications? Are you on the board of directors, a member of industry associations? 4. How do I make connections? LinkedIn will offer you the chance to load an email address book. It is bad form to invite everyone in your address book. Will your 87-year-old uncle really be interested? Personalize each invitation for the specific person you are inviting. Don’t send invitations to people who you don’t know or are likely to respond “I don’t know this person.” Five such responses will toss you out of LinkedIn. 5. How do I use my connections? Keep your connections advised of what you are doing- update frequently in the small box under your blue box profile. Search your connections to find their connections, and then connect with those with whom you want to work. Your connections can lead you to others you may contact on the phone or through LinkedIn. 6. Should I invite my competitors or former employees to be a connection? Be discriminate. Consider your relationship with that person and whether you hesitate to have them knowing what you are up to in your business. 7. How can I get recommendations? First, write recommendations for others. The addition of recommendations helps to complete your profile. Ask your connections to write a recommendation for you. 8. What should I put in the summary of my profile? Write about yourself in the first person. Use keywords to describe yourself, what you do, who you are, and what you care about. On the left side of the screen, you’ll see a link for applications. Pick what applies to you. Use Word Press if you have a Word Press blog or the other blog choice. Use TripIt to list your upcoming trips and to connect with people in those cities. You may also add brief sets of slides through SlideShare, as well book recommendations, twitter, file sharing, and polls. Add video clips, books that you are reading professional publications, and other applications to enrich your profile. 10. Do I need anything beyond the free version of LinkedIn? Most people find the free version to be sufficient for their needs. 11. What are the groups in LinkedIn? Do a search of the groups using keywords that relate to your profession and interests. There are several attorneys and legal nurse consultant groups. Pick a few to join and offer ideas, links to your blogs, ask questions, and report on interesting articles. 12. How do I use LinkedIn’s search feature? You may search for people you know, companies of interest, jobs, groups and answers to questions. 13. In addition to LinkedIn, what other social networking should I be doing? These are the top four: LinkedIn, Facebook, Youtube, and Twitter. Add a business-oriented profile on Facebook. Have videos on Youtube. Twitter several times a week. Create a blog on your company site and update it 2-3 times a week. 14. If I do all of this, how do I have time for anything else? Use your judgment and participate as changes occur. If you invest some time in social media, you’ll see rewards. But you also have a life away from the computer. Unplug and take a walk.